Have you ever fantasized about having the weather read to you every morning like it was a beautiful Shakespearean sonnet? That’s probably the best reason to choose UBTECH Robotics’ new Alexa-enabled Lynx robot over the Amazon Echo—that, or you’re very, very lonely. 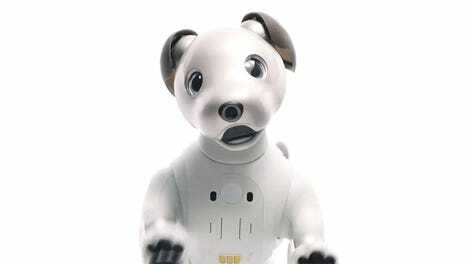 Lynx’s glowing eyes let you know when the robot’s online, listening to your voice, and processing your commands. Whether you’re interested in talking to Google’s Home platform, Microsoft’s Cortana, or Amazon’s Alexa, there’s already a lot of options for smart speakers. All of those assistants are now accessible through third-party devices, which is great, because quite often a smart speaker does double-duty as a family’s stereo. But why limit a smart speaker to just responding to your demands and playing music? A speaker on either side of the robot’s head produce decent sound, but can’t compete with the Amazon Echo or Google Home as a stereo replacement. That’s a question UBTECH is hoping to answer with Lynx: A 20-inch tall humanoid robot that relies on Alexa for at least part of its smarts. Did I mention it will cost you $800? 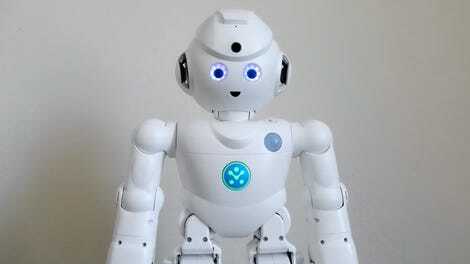 For the price of having eight Amazon Echo speakers strewn about your home, you can instead have a tiny robot companion that can follow you around your house relaying sports scores, reading weather reports, streaming music, checking on your pets, and even teaching you basic yoga moves. Alexa responses are augmented with animated motions that add more drama to replies than are really needed. But first and foremost, UBTECH has been promoting Lynx’s Alexa integration, so how does it work as a smart speaker? About as well as you’d expect a device that’s trying to be a jack of all trades. 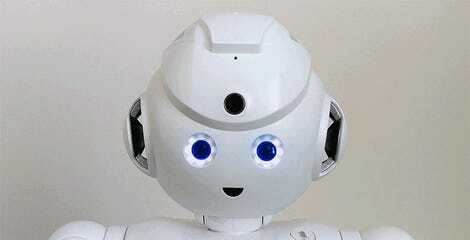 Once the robot is connected to your wi-fi and Amazon account via an accompanying app, you can start talking to it, with the robot indicating it’s listening and thinking using LED animations around its eyes that I quickly learned to decipher. However, depending on what I was asking, I did find the robot slightly slower to respond than Google Home and the other Alexa-enabled devices I use. Your own personal Short Circuit this is not. Touch-sensitive buttons on Lynx’s head let you manually adjust the volume of the pair of small speakers located on either side of the robot’s head. They, admittedly, sounded louder than I expected them to, but I can’t see myself ever choosing to listen to my streamed music through this robot’s head instead of a larger, dedicated smart speaker. A 20-inch tall walking, talking robot with Amazon's Alexa smart assistant built-in. The weather report is much more exciting. This makes no sense for the majority of people. In addition to the blinking eyes, Lynx uses its impressive range of motion to make its Alexa responses feel more epic than they really are. When I asked Alexa for a simple local weather report, the Lynx robot moved along with the audible response like it was reciting a heartfelt monologue from one of Shakespeare’s plays. The motions, however, are completely random, and don’t really emotionally correspond to what’s being said, which I think is a missed opportunity. I would have enjoyed seeing the robot hang its head in shame when letting me know my team lost last night, or cover its head with its hands when reporting it was raining outside. To make it easier to justify spending $800 on an Alexa device, the Lynx includes additional functionality that better takes advantage of it being a tiny humanoid robot. But watching it teach me basic yoga moves and dance along to my music felt more like an in-store product demo than anythign I’d ever actually use. With a video camera located on its forehead and the ability to recognize faces, UBTECH also positions the Lynx as a home security tool. It can send you a video if it detects movements or sounds in a room it’s monitoring, and can it be remotely piloted, with a live video feed, letting you explore your home from its app while you’re away. If you’re going to have a robot wandering your home for surveillance purposes, you’re going to want one that can move faster than Lynx can. The problem is that Lynx walks slower and more precariously than a patient recovering from hip surgery. I didn’t have enough patience to guide it across a small room, let alone my entire house on a hunt for intruders or what trouble a pet has gotten into. The functionality is there and it technically works, but selling Lynx as a useful home security tool is more than a stretch. 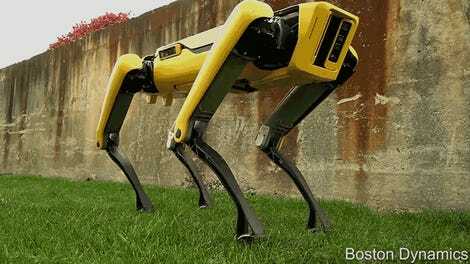 I genuinely think there’s a market for a robot like the Lynx, but I don’t think it’s the average consumer. 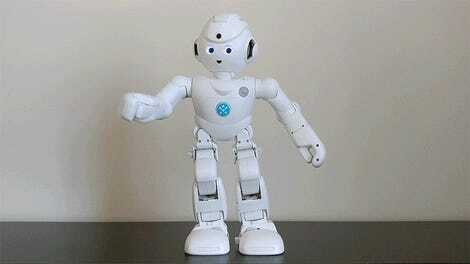 For its size, the robot is impressibly capable, and as slow as it toddles along, I’m genuinely amazed that self-balancing automatons are available for under a thousand bucks. 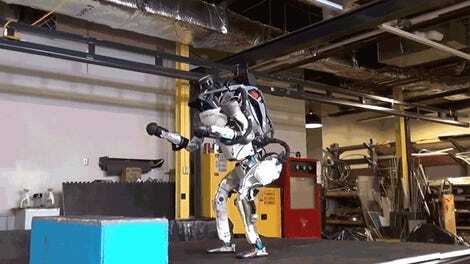 But robots like this are still better suited to hobbyists, tinkerers, and hackers. The addition of Alexa does add some intriguing functionality to the robot, but I don’t UBTECH has quite hit the nail on the head as to how that can be genuinely useful. If you’re mostly after a decent Alexa-based smart speaker, there are better ways to spend far less than $800. There’s the potential for the Lynx to become something incredibly cool one day, but UBTECH is going to need an SDK and to open up the robot to hackers and tinkerers to discover what that really is. Right now it just feels like two products that have been combined in hopes the whole was greater than the sum of its parts, but that’s not going to happen until both products learn to play better together. The first robot with Alexa augmenting its intelligence and capabilities unfortunately just doesn’t have much more functionality than a smart speaker sitting in your living room. 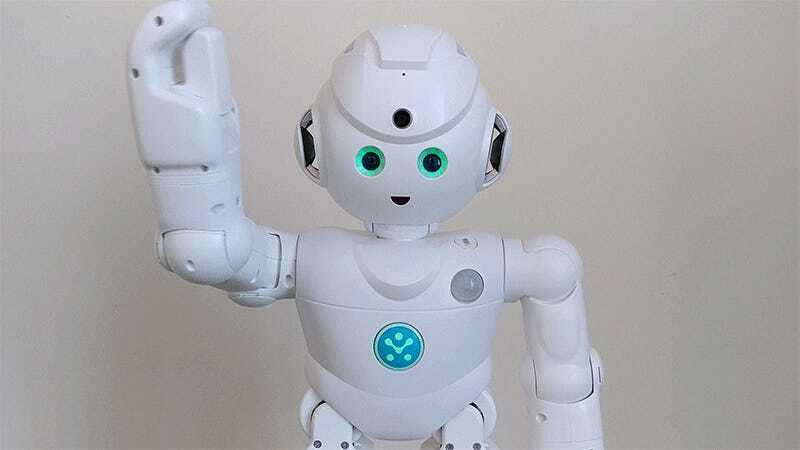 $800 isn’t unreasonable for such a remarkably articulated 20-inch tall humanoid robot, but this is a product for hackers, not the average consumer. 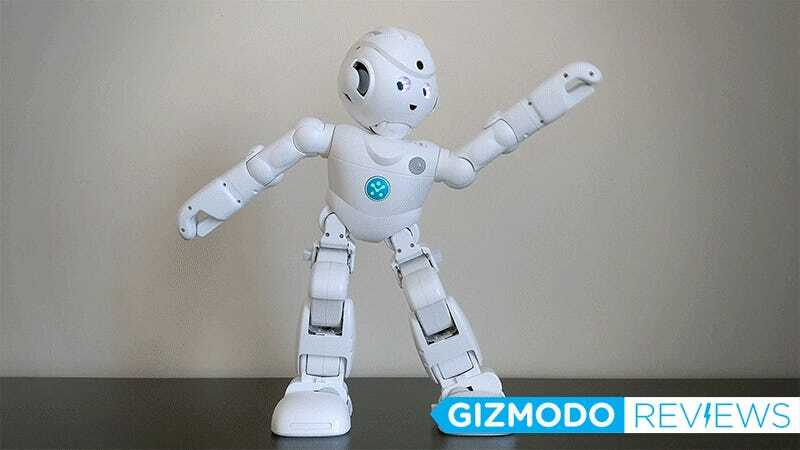 When standing the robot can move its arms, torso, and head with remarkable speed, but the robot walks at an agonizingly slow pace making it impractical for home surveillance. When powered off the robot’s head and limbs go completely limp, and weighing ten pounds it genuinely feels like you’re lifting a small, sleeping child. I’ll leave it to you to decide if that’s creepy or not.